Home/News/Autumn Time – how is your lawn looking? 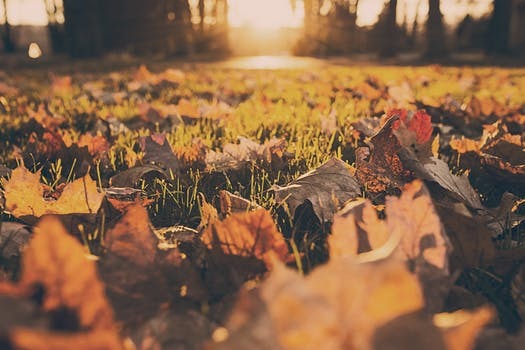 Now its Autumn it’s time to check how your lawn fared during the year and to make any repairs. The heatwave we experienced this summer dried out many lawns, and you will notice areas of compacted soil. Most lawns struggled during these periods, so to test how hard the soil is push a stick into the ground. If it’s difficult to do then you have compacted soil, and that will mean that grass will struggle to grow any deep roots, it will grow slowly and suffer poor drought resistance. These areas need to be aerated, in other words you need to drive holes into the lawn, helping it to breathe and absorb water again, bringing your grass back to life. Next, Autumn is a great time of year to re-invigorate your lawn. This can be achieved through a process called scarification, in which a machine is used to pull dead organic matter from the surface of the lawn. Professional scarification should not be confused with lawn raking, which is a less aggressive process. After scarification you can over-seed with new grass and apply a top dressing of sand and loam as necessary to refresh the grass and soil. This will help your lawn to grow strong and healthy next year. You can hire an aeration machine and a scarifier from Ashley Mowers, or contact a reputable lawn treatment company to have it professionally treated.